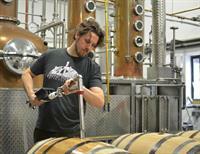 Grand Traverse Distillery uses locally grown grains to distill whiskey, vodka and gin spirits. 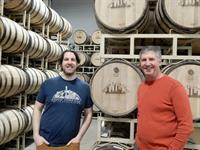 We are one of the few grain to bottle distilleries and the oldest grain distillery in Michigan. 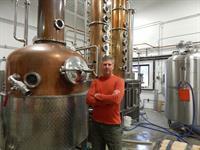 GTD was the 30th craft distillery in the USA. Organized in 2005 and production began in January 2007. 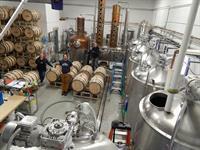 The distillery has a tasting room and we do production tours at this site. GTD products have been awarded over a dozen gold medals and its True North Rye Vodka is listed as one of the top 5 vodkas in the world. Our 100% rye whiskey has been selected top rye whiskey produced in the USA 3 out of the last 4 years by the American Distillers Institute spirits competition. High quality, locally distilled. A 2nd tasting room is located at 215 E Front Street, in the heart of downtown Traverse City. We offer tastings, cocktails and the 2,500sf room is available for private parties and events. Please contact us for details.